“The idea started at the 64th AGRS because we’re always looking for different ways to be more threat representative, and make the training more realistic,” said Spiro. 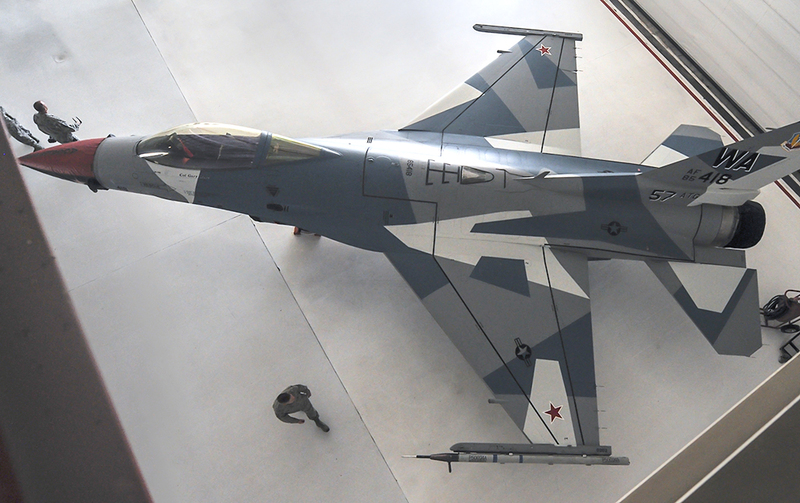 “The 64th AGRS gets creative in extra ways, such as paint schemes to accurately and better represent threats. We act like, look like, or anything you can think of we try so we can be true to the threats. The US Air Force 64th AGRS unveiled a new “splinter” F-16 fighting falcon.